I'm always on the lookout for good news to share on this blog. 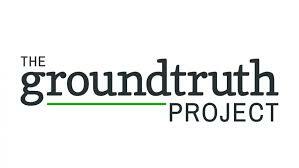 A recent story on the PBS News Hour led me to today's Feel Good Friday organization, the GroundTruth Project. Based in Boston, the GroundTruth Project, as explained on their Facebook page, "provides in-depth reporting on social justice issues while training a new generation of global correspondents in the digital age." Since their founding in 2012, they have provided more than 150 fellowships to early-career journalists who are on the ground reporting on social justice issues. Stories focus on public health, the environment, religion, humanitarian crises and human rights. The PBS report I saw was about survivors of the Rwandan genocide who have turned to photography to document their country's resilience 25 years after the massacre. Click this link to view the story. All GroundTruth fellows receive journalism security training, funding for reporting time and expenses, and editorial mentorship. Their work, which can be in print, photography, film or radio, is published on the GroundTruth Project website and through editorial partnerships with major news outlets. You can view all the special reports here. To support the work of the GroundTruth Project, you can make a donation. To keep current with what they're doing you can sign up for one of their newsletters and connect with them on social media by liking their Facebook page and following them on Twitter @GroundTruth.